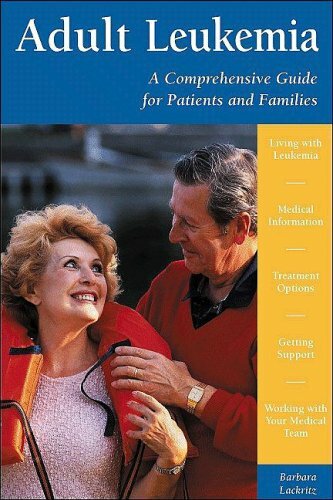 This most complete parent guide covers not only detailed and precise medical information about leukemia and the various treatment options, but also day-to-day practical advice on how to cope with procedures, hospitalization, family and friends, school, social and financial issues, communication, feelings, and, if therapy is not successful, the difficult issues of death and bereavement. Woven among the medical details and the practical advice are the voices of more than 150 parents and children who have lived with leukemia and its treatments. As many parents have already found, advice from "veteran" parents can be a lifeline. Obtaining a basic understanding of topics such as medical terminology, common side effects of chemotherapy, and how to interpret blood counts can help improve quality of life for the whole family. Learning how to develop a partnership with your child's physician can vastly increase a family's peace of mind. Hearing parents describe their own emotional ups and downs, how they coped, and how they molded their family life around hospitalizations is a tremendous comfort. Just knowing that there are other kids on chemotherapy who refuse to eat anything but tacos or who have frequent rages makes one feel less alone. Parents who read this book will encounter medical facts simply explained, advice to ease their daily life, and tools to be a strong advocate for their child. This fourth edition contains significant updates to the information on treatments (including tailoring treatments to children's individual genetic profiles), chemotherapy drugs, stem cell transplants, coping with side effects, and resources. It also contains a personal treatment summary and long-term follow-up guide for your child to keep as a permanent record. Rebirth is a Must Read! I am finished with Rebirth!I did not want it to end though...it really is wonderful! Rebirth is Deborah Ludwig's year long journey of survival. Having been diagnosed with acute lymphocytic leukemia in December 2003, she must put her life and dreams on hold as she focuses on immediate and then longterm survival. She shares every aspect of this journey in a personal, courageous, and heartfelt way, using journaling as her means of coping with her every day struggle. I know that I will be referring to it probably everyday!Rebirth offers great advice, insight, motivation, and support for anyone dealing with a catastophic disease on every page! Actually, this book offers all that for everyone, no matter who they are or what they are dealing with. I absolutely am looking forward to Deborah's next book!Thank you Deborah, for sharing your experiences with everyone. It offers readers hope, comfort, advice, and so much more! A small-town girl who goes to the Big Apple to pursue her acting dreams has to slam on the brakes of her aspirations way too soon when diagnosed with leukemia. Deborah Ludwig's memoir is a well-written, inspiring read. This woman has guts, not only for facing down her disease, but sharing her personal journal of that time period with readers in an unflinching, brutally honest way. It's a book filled with great heart and hope that, immediately upon finishing it, makes you want to share it with those in your community who have the same disease. It also shows how a solid support group of friends and family--and sometimes strangers--plays a big role in a person's survival. Ludwig's calling to be an actress soon becomes secondary to an even greater calling: to help others diagnosed with leukemia maintain a positive spirit necessary to cope with and ultimately beat the disease. First, a confession: I know this author slightly - she directed me in a play several years ago. Deb Ludwig shares her journal for a year, starting with her leukemia diagnosis, through chemotherapy and a bone marrow transplant. This means we get her feelings day-to-day, not as she looks back on the experience from some later time. We see emotional highs and lows, and her discovery of a network of people who step up to support her when she needs it. I ordered a second copy for the family of one of my cousins, who is currently undergoing treatment for a different kind of cancer. I thought it would be helpful to them to see what another person felt at various stages of treatment - probably many of the same things my cousin feels and thinks, but might be reluctant to talk about. Deborah Ludwig's "Rebirth" is phenomenal! 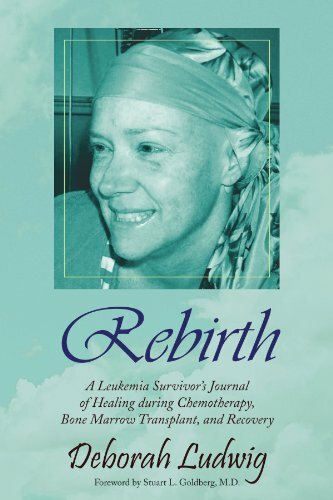 Inspirational and deeply personal, the author effortlessly shares her innermost thoughts about her battle with leukemia, in such a way that you find yourself cheering her on from one journal entry to the next. You're pulling for her to respond favorably to the myriad medications, hoping the results of her latest blood work allow her to continue moving forward in treatment, and deeply moved when she or they do not. At the same time, she weaves in medical terminology that anyone with such a diagnosis must learn - allowing the reader to gain insight into the foreign, tumultuous world of chemotherapy and bone marrow transplant. 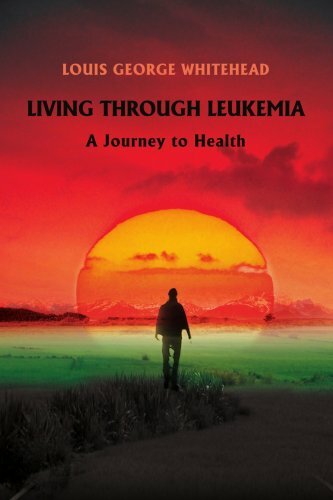 From the very first entry, you're engaged with the author's drive and desire to win over Leukemia - realizing the self-exploration and awareness that must occur along the way. As she chronicles her yearlong battle, the profundity of what she faces sets in. In addition to juggling her finances, her plans for a career, and getting on with everyday life - she's fighting for her life, one day at a time. What an amazing journey - enlightening, insightful, and moving - a must-read for anyone struggling with a life-threatening illness or for those trying to support a loved one through the ordeal. Recent advances in molecular and cellular biology techniques have significantly improved our ability to detect, monitor, model and study the underlying molecular basis and pathogenesis of leukemia, yet we are still in an early discovery stage and much more work is needed in order to develop better strategies to diagnose, classify and treat this biologically and clinically diverse disease. 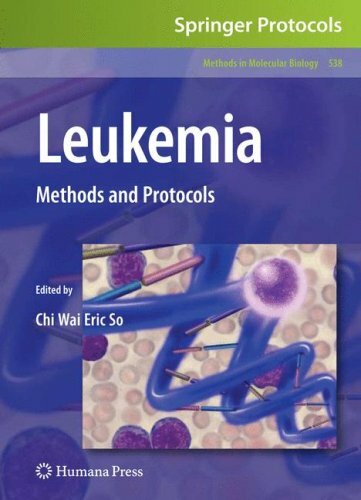 In Leukemia: Methods and Protocols, expert researchers bring together a wide range of state-of-the-art laboratory methods and detailed protocols that are useful for both clinical and basic research scientists working on the disease. The volume provides techniques for prenatal backtracking of leukemic clone, molecular diagnosis, detection of genome-wide genetic abnormalities and profiling, identification of unknown fusion genes, monitoring of minimal residual diseases, disease modeling using murine and human primary hematopoietic cells, studying of normal and malignant hematopoiesis, identification of interacting partners with leukemia associated oncoproteins, and global characterization of genome-wide epigenetic changes in leukemic cells. Written in the highly successful Methods in Molecular Biology™ series format, the convenient chapters contain brief introductions, lists of the necessary materials, step-by-step, readily reproducible protocols, and notes on troubleshooting and avoiding known pitfalls. 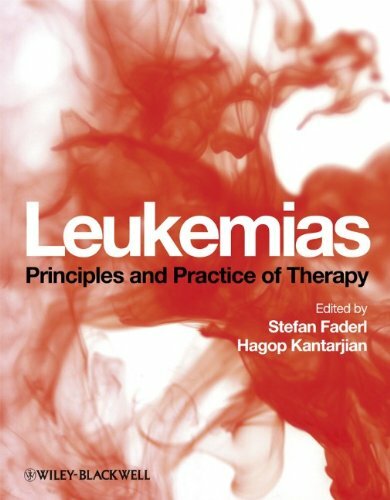 Comprehensive and cutting-edge, Leukemia: Methods and Protocols will help researchers to advance knowledge and have a better understanding of the disease, which will ultimately facilitate development of anti-cancer therapy and improve quality of life for patients. First, a note:I knew Barbara Lackritz AKA GrannyBarb.She was a tireless advocate for patients with chronic lymphocytic leukemia.She spoke at numerous patient's meetings, presented to groups of doctors, and fielded many, many questions from caregivers and patients concerning this disease. 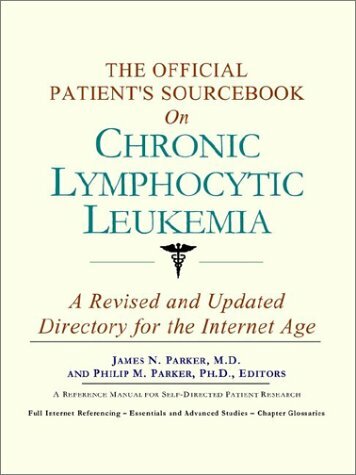 The book GrannyBarb wrote is an excellent overview of CLL.It includes an overview of the disease, symptoms, potential treatments, possible side effects, and what to expect when the disease progresses.It is very well written and covers more than the basics one might pick up from the Web.This is one strength of the book: it distills all that is known about the disease and covers ground that is probably available on the Web, but can be very easily overlooked.GrannyBarb puts all of it together in an interesting and easy to read book. 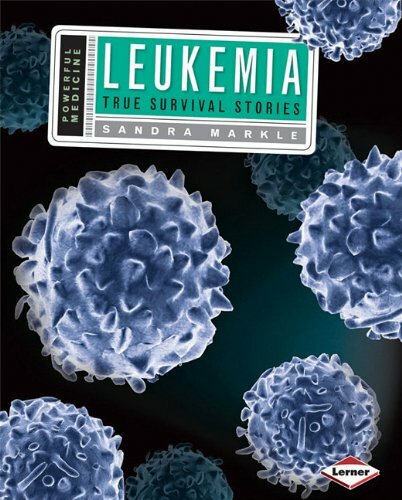 Since GrannyBarb is no longer with us, sadly, the book may not be updated.With the pace of research into this and other leukemias in high gear, there are now more treatments available, and in clinical trials, than when she wrote the book.On the other hand, pretty much all of the mainstream treatments that a patient is likely to run into are covered in the book. Highly recommended.If you are a patient, or a caregiver, there is no better book than this to give you the 'lay of the land'. BTW, to the reviewer who was disappointed because AML wasn't covered in this book, well, that's because the book isn't about AML!Geesh!I suppose I could complain that the book didn't cover model railroading, either, but it isn't a legitimate complaint, to my mind. 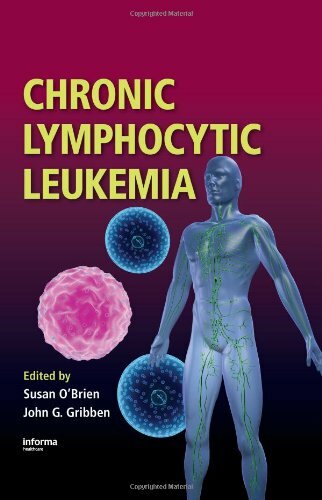 If you have CLL, get this book. 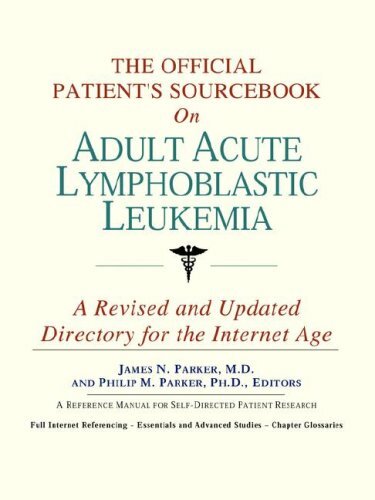 If you have AML, get a different book! I have a friend who has a family history of this disease. He wanted the most current information so I ordered it for him and he found it very valuable. This book has been so helpful. My best friends daughter was diagnosed 2 years ago and this book has helped me help them a lot. Thank you. Having been dx'd with AML I wanted a comprehensive but understandable text to keep near by and refer to as the situation warranted.At first I found it helpdul but then I had more complex questions and the answers were not there.Specifically I needed a better explanation of all the CD's and their effect , affect, I never know which to use, on my leukemia.I also needed much more information on blasts and what different levels indicate.I felt that side effects of chemo anddrugs needed to be addressed more thoroughly, and GVHD certainly needed much more space. 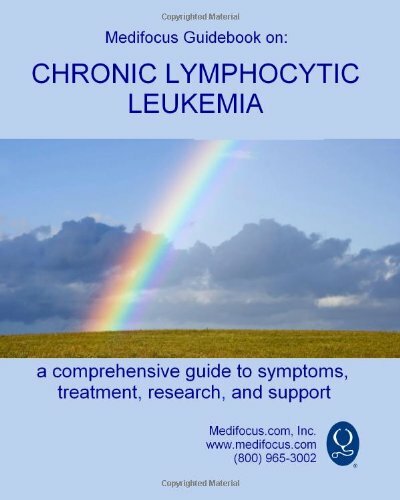 This book was written to ensure that there was information available that we could relate to and understand.I"m glad to know that others are finding what they need in the book.We also invite you to join us on one of the free hematological cancer support lists at the Association of Cancer Online Resources (ACOR). I read this book 20 years ago when my son was treated for ALL, it helped both me and him go through those difficult times, it explains the treatment process, and addresses all the thoughts that go over our minds ("why me? ", "was it my fault? ", "what are my chances? ").The cartoons are nice for kids and help them understand what is going on.I can not thank enough Dr. Baker for this remarkable book. 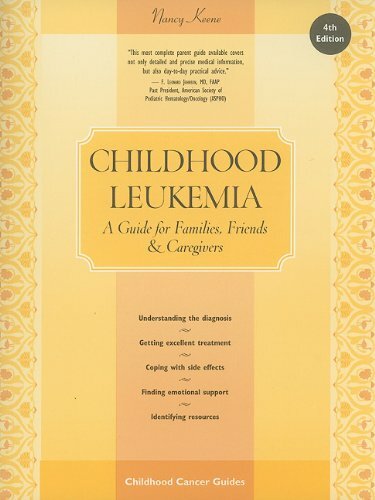 I highly recommend this book for any family going thru Leukemia. When my friends little boy was diagnosed 1 week ago with leukemia, I set out immediatley to find a book written for children that would explain to this little boy what was happening to him. I found and read a few good books on this topic, but this one is by far the best one I found. It is very thorough, but explained well. 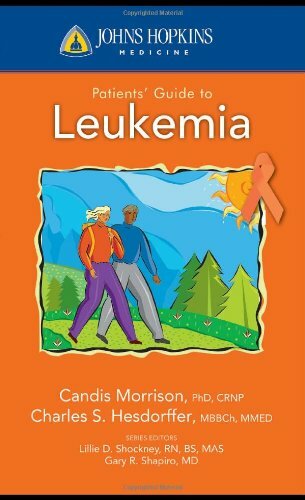 Every family going thru Leukemia, should have this book. It was also helpful for my own children so that they too could understand what is happening to their friend. 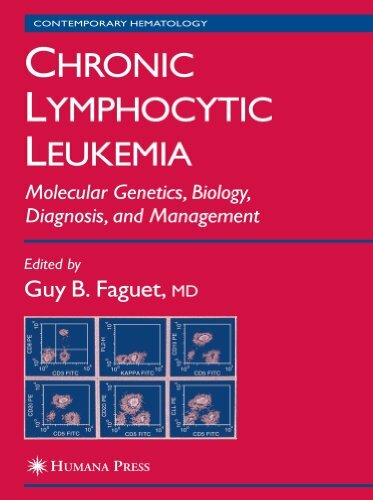 Written by authors from the world’s most prominent cancer centers, Chronic Lymphocytic Leukemia supplies a comprehensive, up-to-date picture of CLL and how to better treat patients inflicted with the disease. New information on developments in the molecular pathogenesis of this disease impacts how physicians approach and treat patients with CLL. The various predisposing factors for the disease are addressed along with current and future treatment modalities and recommended standards of care. Childhood cancer, particularly leukemia, is on the rise. Leukemia strikes one child in every 25,000, and most often does so between the ages of 3 and 7. Annually, more than 2,700 children are diagnosed with leukemia in the United States. Due to advances in biotechnology and medicine, survival rates for this once-deadly disease now stand at 80%. But the psychological effects of diagnosis, removal from school, treatment, and remission or cure, linger. Here nine long-term survivors of childhood leukemia share their vivid memories and give us insight into the physiological changes, psychosocial and educational difficulties that became a constant shadow in their lives. Author Nanci Sullivan provides recommendations for ways teachers, counselors and other professionals may better help young students with leukemia cope. As more and more children survive leukemia, parents, teachers and the medical profession will need to understand and be prepared for the aftermath of the disease. This very readable book, a result of qualitative research, covers 9 survivor stories with diagnosis dating from 1966-1985. Now adults, the survivors reflect on their memories of diagnosis, treatment and living with the consequences of therapy side effects. The author's aim is to illustrate the educational difficulties post treatment and the impact of school (or absence of school) during treatment and later years. Educators need to be added to the medical/parental team as a resource and strength in the child's progression of diagnosis to survival. It is always best to hear first hand from those who go through treatment to potentially make changes for the benefit of the patient. As a pediatric oncology nurse, I have seen the positive effects of the hopefulness and priority of education to hospitalized children. Child life therapy is another bonus offered in larger treatment centers. An additional plus to the book is the various comprehensive appendices regarding bibliotherapy (with age recommendations), video and internet sites for children, bereavement and resources for parents. A glossary of medical terms and explanations of blood tests (which become a new short hand language for families) aids the non-medical reader. 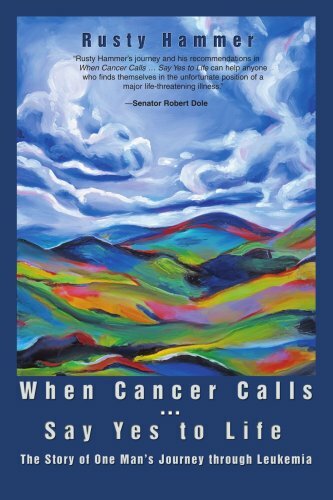 Lastly, multiple listings of support organizations for families, financial assistance, transportation needs, clinical trial web sites and bone marrow information complete this terrific book. Any parent, educator (in the course of a 40 year career a teacher can expect to have an average of 4 students with cancer), psychologist, medical social worker, etc. will find this book useful. When a child is sick with leukemia everyone's focus is on surviving. 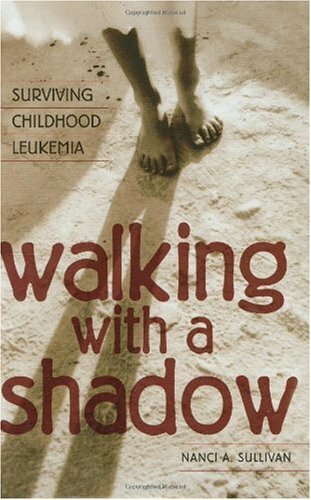 That is paramount.This book tells us what happens in the other areas of their lives once they do survive, and that becomes paramount.We should study the lives of these survivors to learn what we can to address these kids' needs more effectively.This book is filled with priceless insights that current kids who are surviving leukemia will wish we had studied with great commitment. 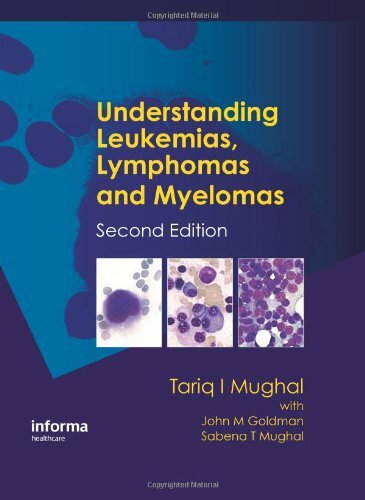 This is touted as a CLL Sourcebook, but it really a CML book that has had some wording changed to make it fit implications for CLL (CML and CLL are completely different diseases, and thus are treated very differently). Very misleading title. Also, the book is seriously out of step with current research (ok, research, and treatment are moving very fast in this area). Resource list is too general for CLL. 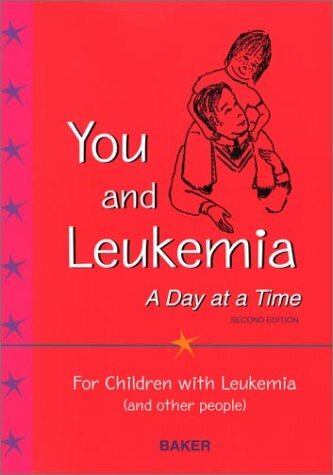 This is a marvelously informative book about leukemia and two children who survived this life-threatening disease! Eleven-year-old Paul Luisi had come down with some "flulike symptoms" and had a stiff neck.It didn't seem like much to worry about, but when he didn't improve his mother took him back to the doctor to further investigate his symptoms.Likewise, little Bianca, came down with a simple case of tonsillitis.Her doctor gave her some medication to help improve her symptoms, but when she got worse her mother took her back to her doctor for a closer look.Both children were eventually diagnosed with leukemia.Paul had myelogenous leukemia and Bianca had lymphocytic leukemia. Both of their families would soon learn that "leukemia is the name for different kinds of cancers that affect the body's blood cells. 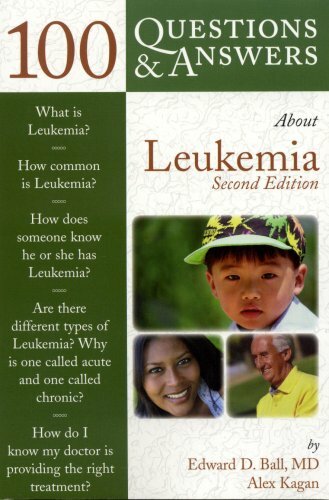 "In this book you will learn many things about leukemia and you'll get to follow both children through their treatment.A cancer is when certain types of cells multiply "out of control. "We have three kinds of blood cells: "red blood cells, white blood cells, and platelets. "In leukemia there are not enough blood cells (erythrocytes) and platelets (thrombocytes), yet there are "too many white blood cells" (leukocytes) as they have multiplied too quickly.You'll learn about the function of each of these cells and what happens when production went awry in Paul and Bianca. In order to be able to treat children easily "Doctors often install a special device through the chest wall of a leukemia patient. . .[that] connects to one of the main veins leading into the heart. "Although treatment was different for each child, they both needed strong drug doses "to quickly wipe out the leukemic cells. "You'll learn about some of the unpleasant side effects they had to endure, the goal of chemotherapy, why they needed transfusions, you'll learn about blood typing, why people lose their hair during treatment, you'll learn about the blood brain barrier, the three phases of chemotherapy, how long treatment is, you'll learn about stem cell transplants, and you'll get to see and learn about many other facets of the disease and its treatment.Best of all, you'll get to see how Paul and Bianca are doing today! A brand-new edition of the bestselling guide to hematologic malignancies. 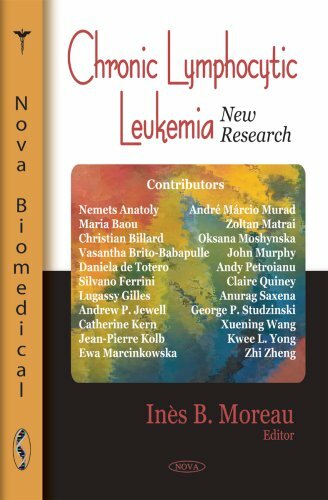 An international team of contributors come together to present all clinically relevant aspects of leukemias, lymphomas, and myelomas. Using clear terminology, the book discusses salient features, diagnostic procedures, prognosis, and treatments for these cancers.